If you follow my blog posts…oh, please do…you can tell from the over 3 years of postings that some of my great joys are as simple as a new rose bloom, a butterfly floating over the phlox, hummingbirds feeding at the window, fresh scones, great French Roast coffee…my family, my friends and my Border Collie, Holly. So for now, follow me down the path to home…OH, how I wish…and hopefully you’ll find something to enjoy or perhaps create! Elegance and Simplicity…there is something, to me, about all things French that make them stylish and romantic! A simple silk scarf thrown around my neck [with my pearls] always makes me walk with grace and confidence. 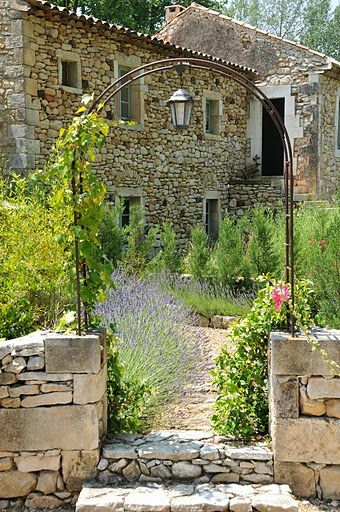 At home, the way colors and patterns are mixed, fragrant little bouquets from the garden on every table, the carefree mix of flowers, herbs and vegetables in a potager… the fresh bread, the cheese…the wine and my CERISE! Seductive and Soothing…the taste of chocolat, the fragrance of lavender fields, the perfumes of GRASSE, the fresh scent from a patisserie or boulangerie tempting you in to decide between baguette, croissant or pastry, Veuve Clicquot bubbles tickling your nose, creme brulee for dessert…Coco Chanel, Edith Piaf, Alain Delon, Brigitte Bardot, Yves Montand, whoops, visiting the past again…oh so much more! Time for a glass of wine and a bit of reflection…I read recently about even ANOTHER study done in Europe on the aging process…oh, why do I bother! It was discovered that there is no boundary between mind and body…seriously! Both interact in a psychosomatic information network linking mind, emotion and soul to our ‘material envelope’ of molecules, cells and organs…ah, com’on! Grief, stress, joy, fear, joy, love…all the emotions that swirl through our minds…impact our bodies and are carried around by hormones, neurotransmitters and other big words.TO GET TO THE POINT OF THE RESEARCH…we have power over our bodies and can change our biology by the way we think and feel…we become our expectations. Maybe that’s why I always feel so much better when I stop working outside in the 90 degrees plus and close to 100% humidity…come inside…take a shower, settle into my chair with a glass of wine, a bit of cheese & baguette. WOW, The immediate impact of this decision to change my biology, as well as state of mind, is quite evident!! Now if only all that helped with the wrinkles! Something colorful for your garden…I just loved the way the garden gates echo the color of hydrangeas…why not try a spot of different! Never be afraid to add that touch of the unexpected…it is your garden! 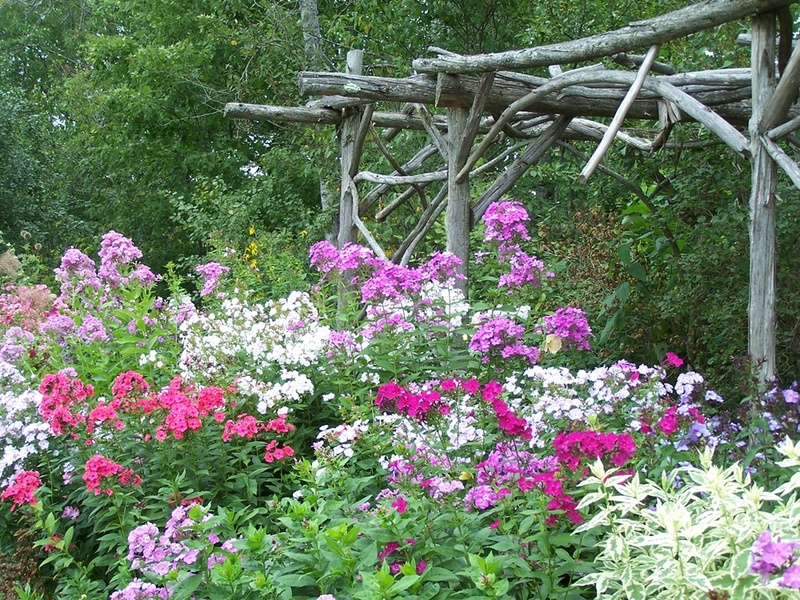 Summer phlox adds such a splash of all season color and fragrance…I can never have enough of these glorious blooms…The cedar arbor is another nice accent for the garden! Last words…When it gets REALLY hot…just remember last winter, 2 feet of snow for weeks, 18 degrees, frozen gardens!